Fernando Martinez is essentially a self-taught chef. In his formative route there are passages by Spain, France, Holland, Germany and Norway. Early in his career he won two ToqueD'or awards in two consecutive years. He was for many years sous chef of 3 French Chefs, an Italian, a Belgian and a South African. He has been a teacher in hotel schools for more than 20 years. Some of the best known Portuguese chefs were his students. 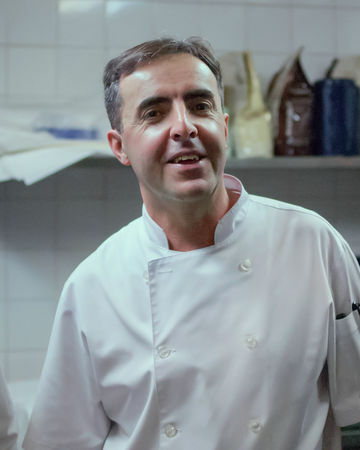 Fernando Martinez is a specialist in Mediterranean cuisine from Portugal, Spain, Italy and south of France. His cuisine excels by simplicity and subtlety. The inspiration, respect for ingredients and their origin as well as the taste of vegetables, fruits, meats, fish and shellfish are of paramount importance, reasons why the chef uses more and more organic products, grass feed meats and sustainable fishes, mainly of Portuguese origin. I want to learn with the Chef!